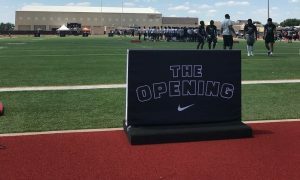 On Sunday, I made my way to Legacy Stadium (Katy, TX) where I saw hundreds of prospects display their talents on the field. 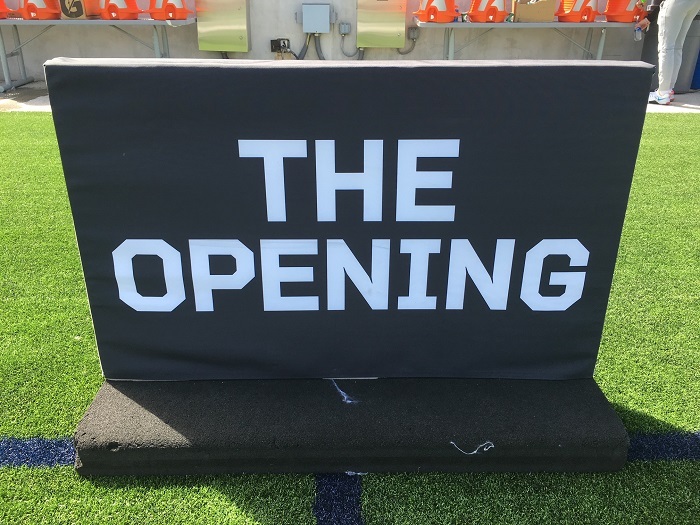 Luckily, the weather wasn’t too bad, and, in the end, I saw some great plays made along with some excellent quotes from prospects with serious interest in Big 12 schools. I watched over 6 hours of drills, one on ones, you name it, but the important thing at the end of the day is, where do schools stand with these talented young men? 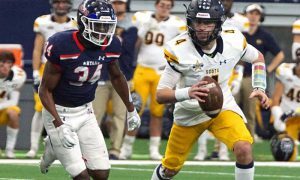 Here is the best of the best from Sunday afternoon in Katy. Enjoy! Recruiting Nugget: Chidozie was wearing an LSU jacket that covered up his massive arms. Seriously, he may have some of the biggest arms I have seen on a defensive tackle. Anyways, he mentioned that he loved LSU and that Ed Orgeron’s job status is something he is keeping an eye on. He will visit Houston, Texas A&M and LSU coming up. Recruiting Nugget: Besides Kansas, Larry has offers from SMU, UTSA, Tulsa and ULM which means Kansas is his only power five offer right now. When I have talked to kids about Kansas at these camps, many don’t know much besides the fact that they have an offer. So, the fact that Larry is in contact with them nearly every day and will be visiting Lawrence for the spring game is a very good sign for Kansas fans. You can find my full interview with Princely right here. Recruiting Nugget: Chris has plenty of ties to Arkansas because his father was on the coaching staff at Arkansas under then head coach Houston Nutt. 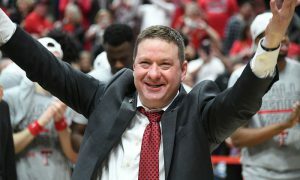 Chris seemed to really like the new staff at K-State but right now it would be tough for me not to say that he is an Arkansas lean. I also want to mention again the he won MVP for the running back group in this camp. 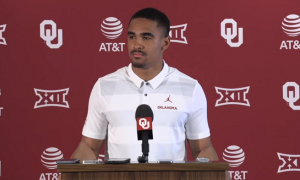 Recruiting Nugget: While Corey seemed to enjoy both Texas Tech and Oklahoma State, he really raved about Boston College and his connections he had there. He also mentioned that he would love an offer from Ole Miss as well. Boston College is already one of the schools at the top part of his list and if Ole Miss offers, expect them to be right up there as well. He also won MVP of the linebacker group. Recruiting Nugget: Daniel’s stock will continue to rise. I have been high on him for awhile and over the past few weeks, schools are starting to take more notice because his offer list continues to grow by the week, and it will continue to keep growing. I would say his recruitment is still very open right now and I will keep in contact with Daniel as time goes on for more updates. This is a guy to keep an eye on for sure. 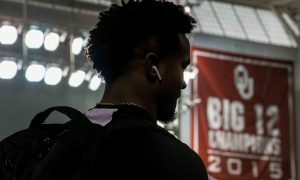 Recruiting Nugget: Collin is still weighing his options right now. 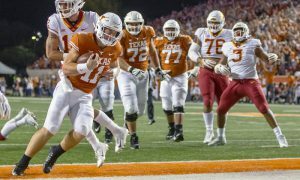 I will say that I think he would love an offer from Texas and with Austin being so close (Round Rock is basically a suburb of Austin), the Longhorns would be a favorite to land Collin if they do extend an offer. Collin put on a heck of a performance during the camp session it is easy to see why he is highly rated. 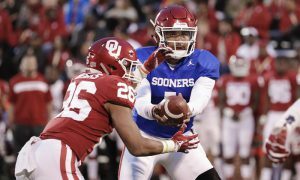 Recruiting Nugget: I didn’t post any quotes here because to be honest with you (I am not here to BS you unless I am having fun) he didn’t seem too interested in any Big 12 schools contacting him right now. The answers I got were generic and I could read in between the lines a bit during the interview. However, DJ did mention that he is waiting on a certain offer, but he wanted to keep that to himself at right now.